The scientists are studying why a person becomes infertile. In the meantime, different techniques have been found to enable a couple to have a baby. Friday Magazine writes that one in five UAE couples now seek fertility treatment or fertility clinic. For most of the couples, the high cost is a major concern. This blog post discusses how much fertility treatment cost in Dubai. Please continue reading to learn more. It is necessary for couples to learn about normal fertility and infertility to be able to seek help when they need the most. Research studies explain that more than 85% of couples are able to conceive within one year of trying. The husband, wife, or both may be infertile if the wife is not able to get pregnant in the early months. According to fertility experts, infertility is defined as the inability to conceive within 12 months since the couple start trying to have a baby. Once a person has been declared as infertile, the world does not end there and there are different ways for men and women to become fertile again. An expert can recommend a suitable fertility treatment. You might have heard or seen advertisements from fertility clinics or fertility doctors where they claim to cure infertility in a short time. Can a doctor treat infertility? How early a couple can have a baby if treated properly? The research shows that the success rate for infertility treatments is very high. It is true that the Emirati and expatriate couples living in the UAE trust fertility clinics. One in five couples in the UAE are struggling with infertility and they are passionate about having babies. The World Health Organization (WHO) consider it ‘a global public health issue’. For such couples, the Euromed Clinic Center Dubai has advanced techniques for fertility and we keep everything confidential. The fertility treatment cost in Dubai might be your concern, continue reading. The Technique Used: There are different methods to treat infertility. So the choice of method defines the cost of the procedure. The Nature of Infertility: Sometimes, the fertility is simple and easy to treat. In such cases, it will cost less than that of the complex cases. The Location of the Facility: The rates of health facilities vary from cities to cities. The rates may be lower in Sharjah than that of Dubai. The Expertise of the Professional: The reputed fertility doctors may charge more but they will save your time and the results will be obvious. The Euromed Clinic Center Dubai has a proven track record of delivering promising results to infertile couples. Our qualified and experienced fertility experts charge a reasonable price. If you want to know the fertility treatment cost in Dubai, it is good to book an appointment with us now. 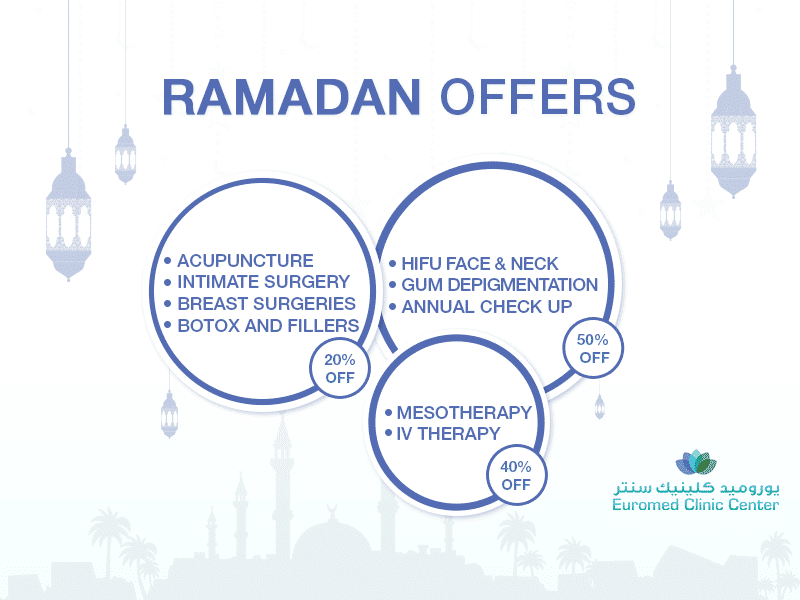 An appointment session with one of the fertility experts at the Euromed Clinic Center Dubai can change your life. Have a checkup today, get treated, and take control of your life. You can book a consultation session by calling us or by filling the short online form now. If you are ready to have a baby, we are ready to help you succeed.